Mystic of Holyhead (successor to Lynn Rival) - Ready for an Atlantic crossing? Title: Ready for an Atlantic crossing? 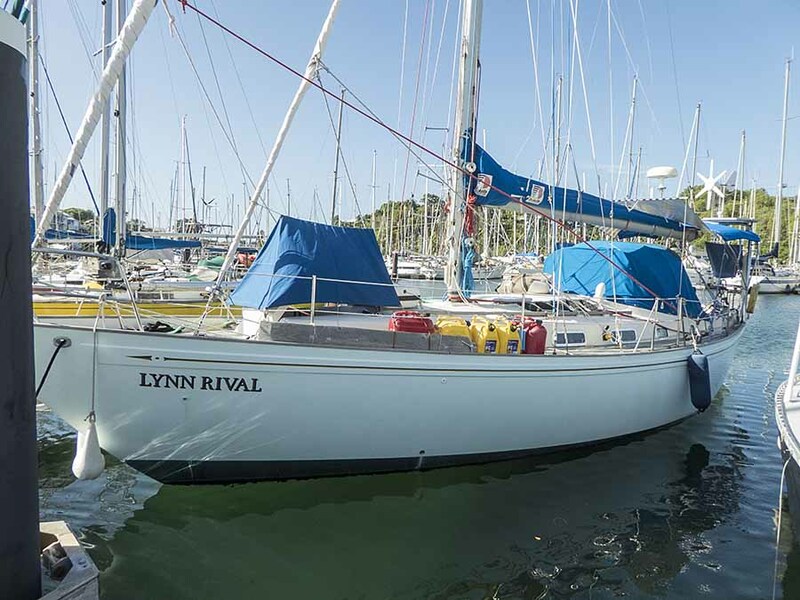 We got back to Guadeloupe last Sunday night and have been getting Lynn Rival ready for our passage to the Azores. The marina in Point-a-Pitre is ideal for the purpose with a good chandlery and shopping nearby. We're enjoying having croissants for breakfast and have managed to find most of the things we like for passage-making, including Snickers bars and Kitkats, but no ginger biscuits. The lockers are full of foodstuffs and the hammock will be used for fruit and veg stowage. The weather in the run up to the hurricane season is hot and sticky (34 today with humidity in the 90s) so we can't wait to leave. The direct distance from here to the Azores is about 2,200 miles. At first we expect the trade winds to let us to sail in a northeasterly direction but in due course we will likely enter an area of light winds - the Azores high - and later encounter stronger winds from a passing depression. We have bought more jerrycans so we can carry even more diesel in case of extensive calms. Our oilies and cold weather gear are at the ready for the cold, wet and windy spells. Once out of the marina we are planning to spend a night or two at anchor nearby. The bottom is showing signs of growth again and we don't want anything slowing us down so a bit of hull scraping is called for.